Just because something is inevitable does not mean it cannot be postponed. The popular name for this is “kicking the can down the road,” which is a perfectly good description. I prefer more technical terms such as dynamic systems in “subcritical” and “supercritical” state space, but it amounts to the same thing. A financial crisis can be a long time in the making, but it will definitely erupt. When it does, there will be huge losses for those who ignored the warning signs. China is in a pre-crisis situation today. The Impossible Trinity theory was advanced in the early 1960s by Nobel Prize-winning economist Robert Mundell. It says that no country can have an open capital account, a fixed exchange rate and an independent monetary policy at the same time. You can have one or two out of three, but not all three. If you try, you will fail — markets will make sure of that. Those failures (which do happen) represent some of the best profit-making opportunities of all. Understanding the Impossible Trinity is how George Soros broke the Bank of England on Sept. 16, 1992 (still referred to as “Black Wednesday” in British banking circles. Soros also made over $1 billion that day). The reason is that if more attractive total returns are available abroad, money will flee a home country at a fixed exchange rate to seek the higher return. This will cause a foreign exchange crisis and a policy response that abandons one of the three policies. But just because the trinity is impossible in the long run does not mean it cannot be pursued in the short run. China is trying to peg the yuan to the U.S. dollar while maintaining a partially open capital account and semi-independent monetary policy. It’s a nice finesse, but isn’t sustainable. China cannot keep the capital account even partly closed for long without drying up direct foreign investment. Similarly, China cannot raise interest rates much higher without bankrupting state-owned enterprises. China is buying time until the Communist Party Congress in October. It’s important to realize that for Beijing, the Chinese economy is more than about jobs, goods and services. It’s a means of ensuring its legitimacy. The Chinese regime is deeply concerned that a faltering economy and mass unemployment could threaten its hold on power. 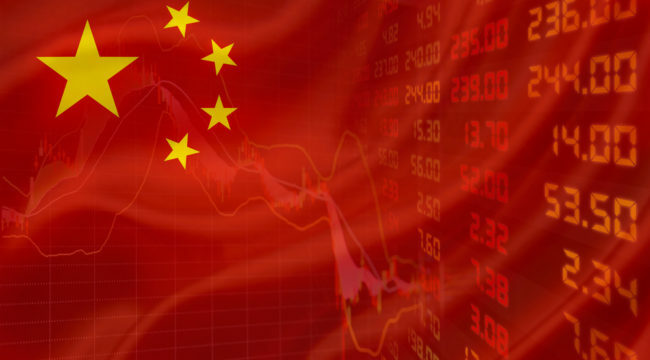 Chinese markets are wildly distorted by the actions of its central bank. Given the problems inherent in trying to manage an economy without proper price signals, the challenge facing Beijing gets harder by the day. China has a long history of violent political fracturing, and the government is deeply worried about regime survival if it stumbles. Many in the West fail to appreciate Beijing’s fears and overestimate the support it has among the disparate Chinese people. What does China do next? Under the unforgiving logic of the Impossible Trinity, China will have to either devalue the yuan or see its reserves evaporate. In the end, China will have to break the yuan’s peg to the dollar in order to stop capital outflows without killing the economy with high rates. The Impossible Trinity really is impossible in the long run. China will find this out the hard way.